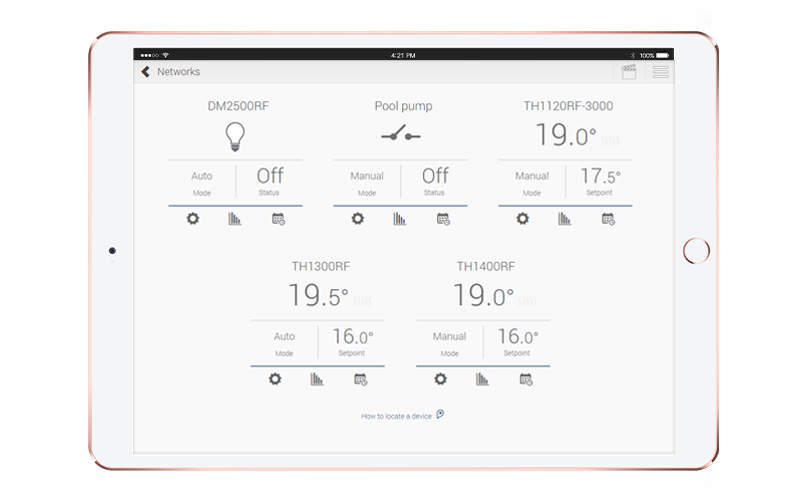 View, control, analyze and program your compatible devices ... Nothing is easier with Neviweb! Control your compatible smart devices from the same platform. Neviweb and Sinopé devices work in symbiosis for you, for more features, control and comfort. Quite simply. Create perfect ambiances, simplify your everyday life. Choose what your compatible devices do. You can control the shortcut from Neviweb or save the interaction within the product. Neviweb follows your daily routine: each day can contain up to six different setpoints. Copy them from one day or device to another. Set your schedule according to the sunrise and sunset or the time of day. 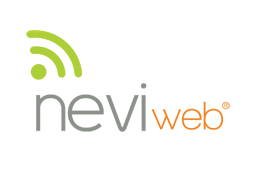 The Neviweb platform is optimized for smartphones, tablets and computers. 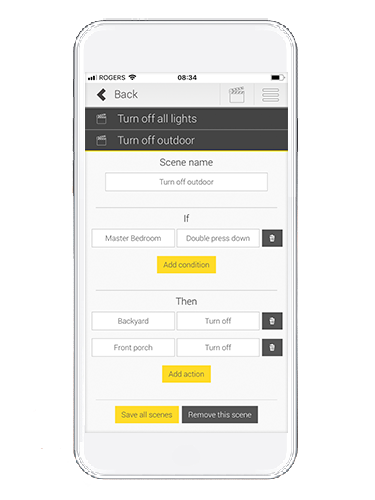 Neviweb is user-friendly and gives you full control over your smart home devices. Neviweb generates downloadable consumption graphs for each connected device or group of devices. These graphs show consumption in dollars, kilowatt-hours, or percentage over a 24-hour or 30-day period. Two levels of encryption are used: one at the wireless communications level and the other at the Internet exchanges level for a safer smart home. 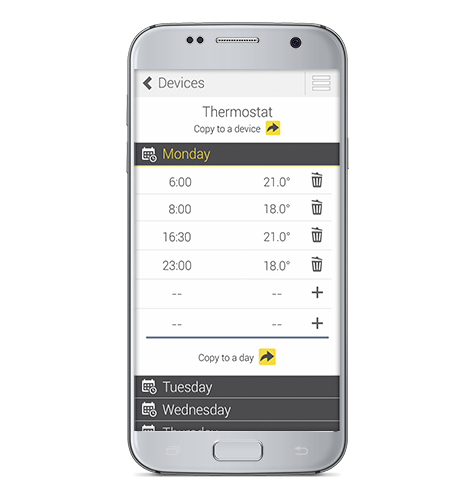 Thanks to Neviweb, the programming established for each device is preserved during power outages and the time changes are automatically made. The GT125 Web interface communicates with the Sinopé Web programmable devices through a meshing process. The signal emitted by the GT125 is sent to the nearest device, which then transmits it to the next one, thus ensuring a strong and constant signal from the first to the last device. No repeater is required.